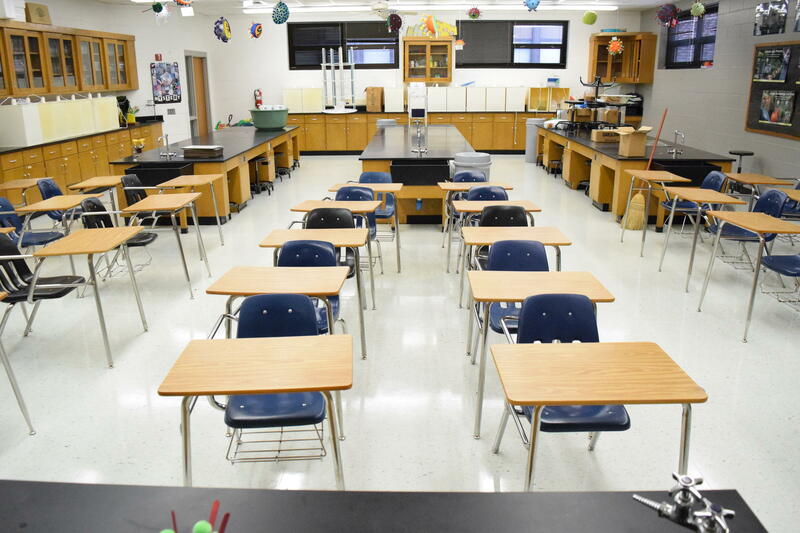 State Labels Hundreds Of Schools "Underperforming"
The Illinois State Board of Education has unveiled a new labeling system for schools, with roughly 550 Illinois schools now being tagged "under-performing," and another 200 called "lowest performing." The agency came up with these tags because the federal Every Student Succeeds Act (known as ESSA) requires each state to create a simple way for parents to gauge the quality of a school. In Illinois, the labels are based on a mixture of 10 weighted factors, including standardized test scores, academic proficiencies, absenteeism and graduation rates. Ralph Grimm, chief education officer for the state, wasn’t working at ISBE when the agency formulated and named these labels, and he admits that “there has been some pushback” on the term “underperforming.” But he says the labels reflect the board’s mission of ensuring that every child learns and progresses. "By definition, an underperforming school is really a commendable school that happens to have a student group that's not performing at the expected level,” Grimm says. "I will tell you that, regardless of the words, I think we need to focus on the fact that it is the mission and vision of the state board to meet the needs of all of our students. Every single one of them. And that means 100 percent." The labels come with a silver lining. Each “underperforming” school will get $15,000 in federal funds; each “lowest performing” school will get $100,000. Then each school will get an additional sum calculated using the same factors found in Illinois new evidence-based funding model. The “underperforming” and “lowest performing” schools can also get help addressing deficiencies through IL-Empower, teams of educators that have been vetted and approved by ISBE. Demographic groups that could trigger a lower rating include each racial group plus English language learners, former English language learners, students with disabilities, and low-icome students. A school would be labeled underperforming if one or more of these groups performs at or below the level of the “all students” group in the lowest 5 percent of all schools. The practice of labeling schools isn’t new. Under the federal No Child Left Behind act, schools received similar labels, but those labels were based purely on standardized test scores, and resulted in shaming and punishing schools whose students might be dealing with multiple challenges. Grimm says this new system of summative designations is built on more realistic metrics. "There are multiple measures of success that are in play now — attendance, growth proficiency — that were never considered when judging a school building's effectiveness under No Child Left Behind,” he says. The new system counts PARCC and SAT test scores, but places more weight on students’ academic growth — a measure not affected by demographics. In Springfield, seven schools are rated underperforming and six are rated lowest-performing (Graham, Feitshans, Harvard Park elementaries; Washington and Jefferson middle schools; and Springfield Learning Academy). Click here to see a spreadsheet of schools with their designations statewide. This story has been corrected to remove a statement that schools must have 40 percent low-income students to be labeled lowest-performing. Lowest-performing schools have to qualify for Title I funding. This is one of those good news/bad news stories. A series of state laws meant to reduce the number of kids getting kicked out of school appears to have worked. That’s the good news. But the bad news is: Those same laws also seem to have magnified racial disparities in school discipline.